As the weather here prepares to take a turn towards a February Blizzard, I always turn back towards projects in the home. This was one of my favorite projects. It is fun, and easy, without a lot of complicated components. I am often shocked how a simple change can give an item a whole new life and feel. 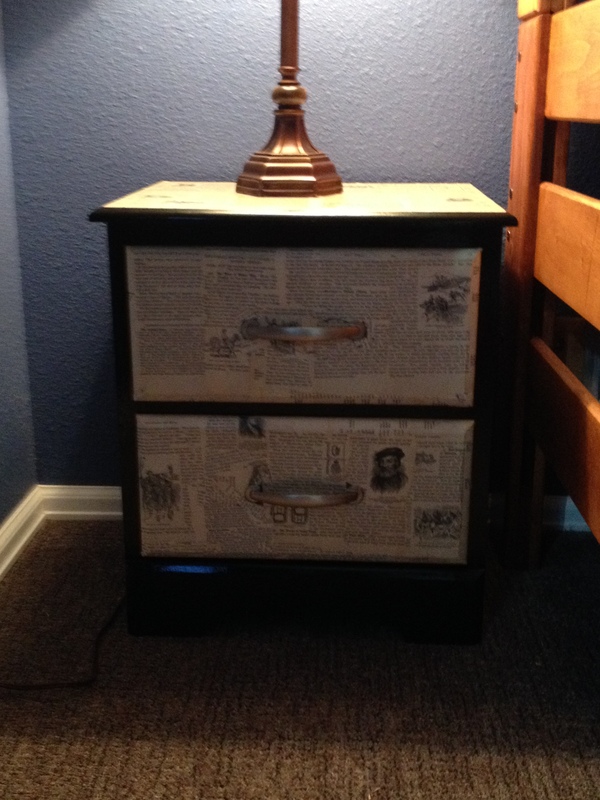 I was given a VERY basic nightstand by a good friend, because she knows how very much I love to play around with techniques and change. I love to reuse items whenever I can. Many of you have read that I don’t want my home to look like the pages of a Pottery Barn catalog..and that remains true. But I DO take inspiration from some of those same manufacturers. This style was actually “stolen” from ideas I saw in similar stores. ~An old book with lots of character (I used a 1937 history book found in an auction box that had been water damaged and could not be salvaged). ~gloss enamel paint of your choice. This project cost me a total of $7.76 since I only had to buy mod podge and bought a can of clearance enamel! A great deal! Step one: Remove any drawers from the table. Remove hardware. Rough up with sandpaper. 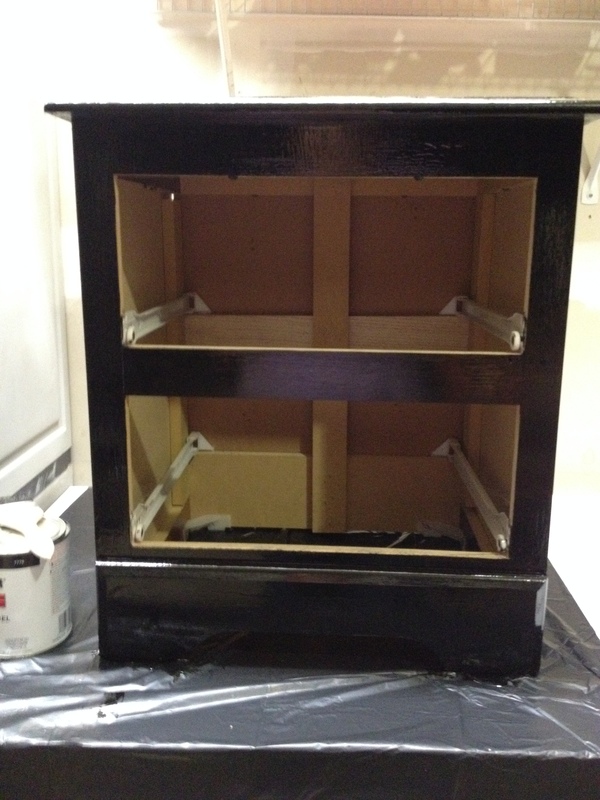 Step two: Paint main frame of nightstand with paint of your choice. I chose gloss black. This may take a coat or two, depending on paint color and quality. 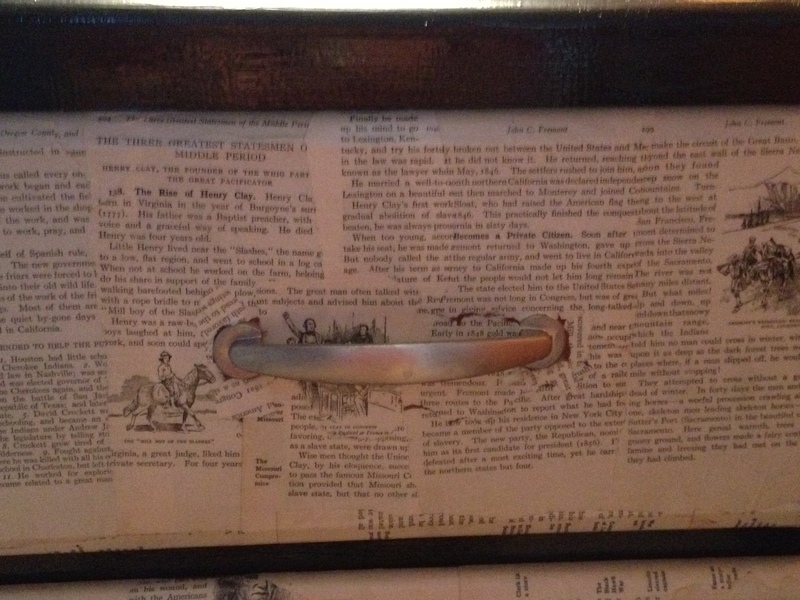 Step Three: Apply pages of old book or magazine with mod podge to the top and drawers. 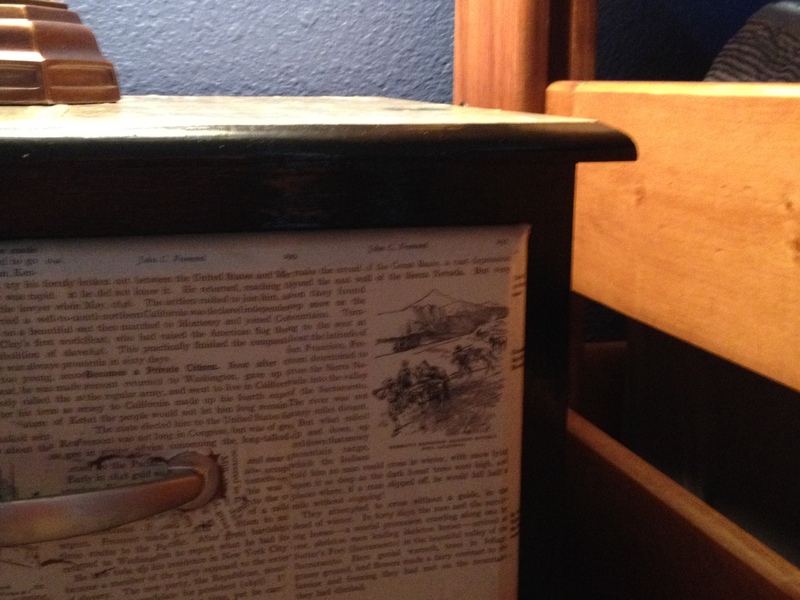 I used the pages whole on the top and focused on parts of the history books about the Old West, as this item was for my Moms Bunkhouse Guestroom! On the drawer fronts, I tore the pages to fit. Final Step: Allow everything to dry for several days, if you can. 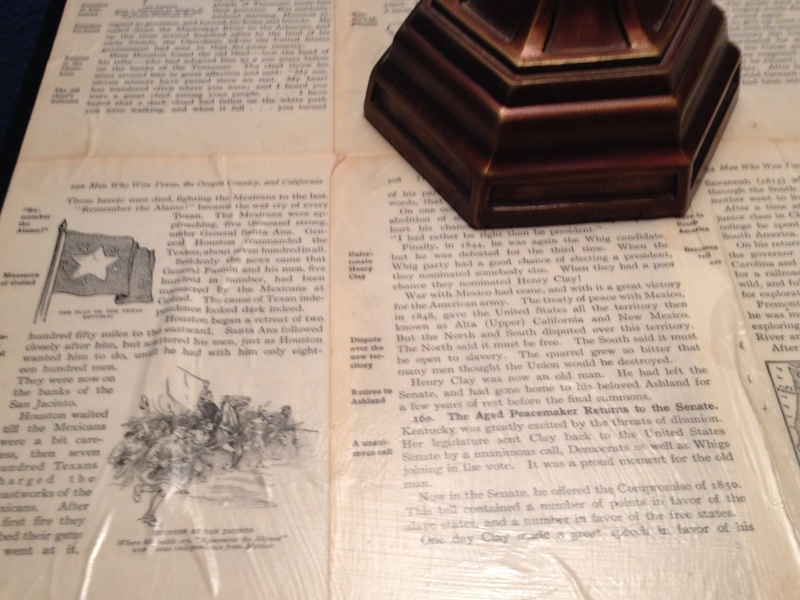 Apply additional mod podge as needed, in places where it seems like there is not enough adhering happening. If you get a bubble of air under a portion of the mod podge, prick the area with a tiny pin, allow air to escape and then apply some more mod podge. You really can’t make a mistake, since it dries clear. It is by far one of my favorite products! 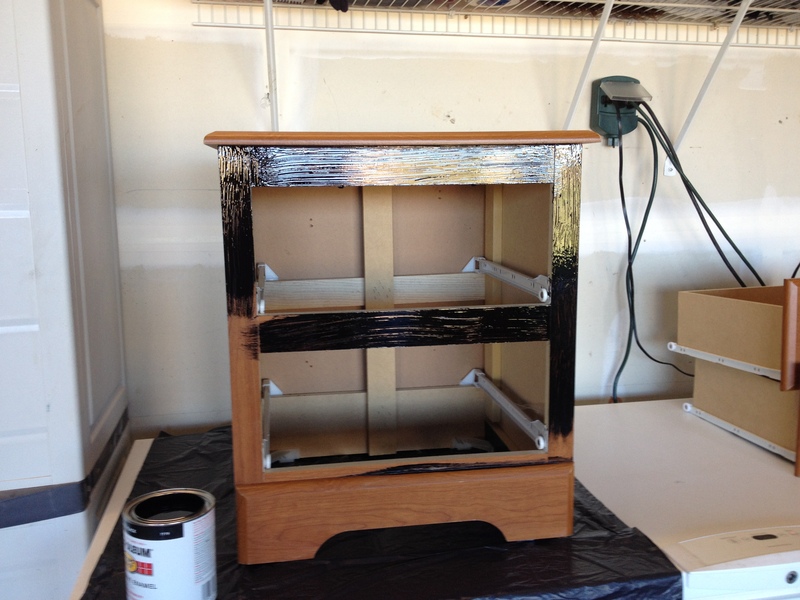 When completely dry, apply poly or shellac over mod podged areas for extra protection. That’s it! You now have a gorgeous, one-of-a-kind piece that looks great in any room. It adds loads of character! What’s your favorite trash to treasure success story? Share a link in the comments so we can check out your creations!